Aikido is a powerful and dynamic martial art system from Japan. Developed by Morihei Ueshiba, through his commitment to the martial arts he eventually formulated his own art and called it Aikido. Students train aiming to full fill their own potential by integrating mind, body and spirit as well as the development of technique and forms, called Kata. Often described as “moving Zen” the ultimate aim is personal transformation. The focus of the Dojo (training hall) is practical. Repetition and hard work are required to master the fundamentals of training. The spirit of training is as a martial art. The students practice in a non-competitive atmosphere where the conditions of mutual learning is encouraged. The benefits of training include strength, flexibility, new skills and improved muscle tone. 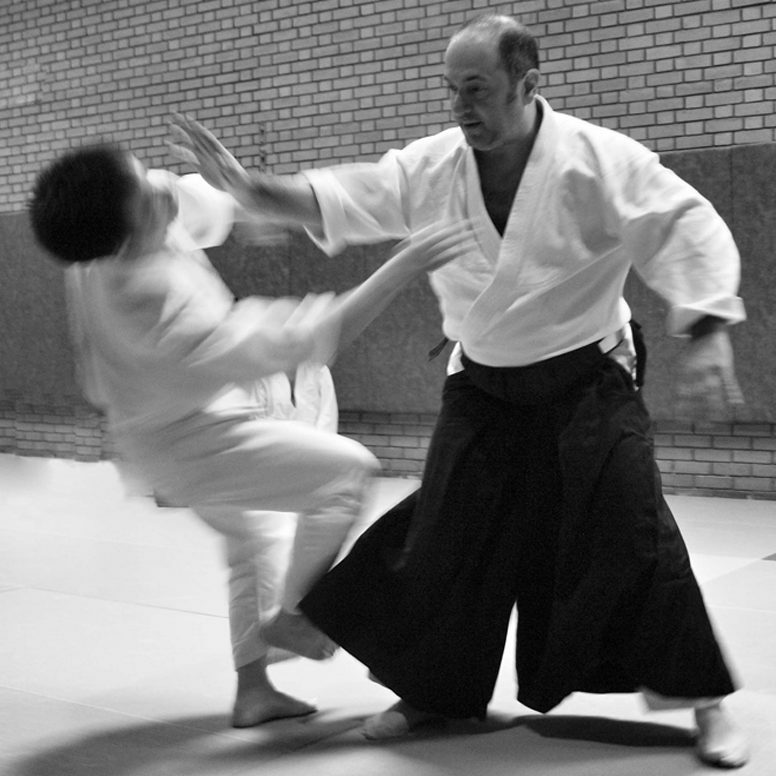 The student of Aikido learns to identify and gain control of the ways in which he or she reacts to opposition and adversity, and so learns to remain centred under these conditions.